SOPHIE Carrington may be only 13 years old, but her flute skills are much beyond her years. 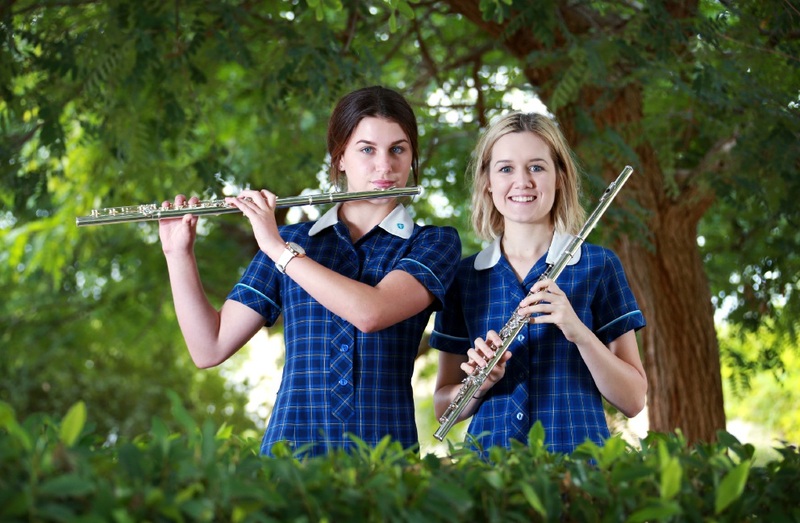 The Muchea resident was the youngest member to be selected in this year’s WA Youth Orchestra’s (WAYO) flute choir last December. The prestigious group comprises just 10 youths, aged up to 25 years of age. “I had no idea whether I’d get in,” Sophie said. Fellow Swan Christian College student Sianan Bell (16) was also selected. “My flute teacher told me about WAYO,” Sianan said. “So I applied late last year. The Rehearsals began the beginning of this year. “We do three hours a week on a Saturday at the WA Academy of Performing Arts,” Sophie said. Sianan is studying music as a WACE subject, and hoped to make a career out of it. “Hopefully I’ll do a Bachelor of Music at WAAPA next year,” she said. The girls said while they did not have any well-known idols, they looked up to their WAAPA instructor. “Christie who runs our flute choir is my idol,” Sophie said. The girls said they dedicated a good part of their day to playing the flute. “I spend about half an hour a day practising for the choir,” Sophie said. Sianan said she spent a similar amount of time rehearsing for WAYO. “I spend about half an hour on that,” she said. Sophie said while she hoped to study medicine, she would definitely continue playing the flute after she had finished school.